Well, not technically up my sleeve yet because it’s still 100 degrees every afternoon and wearing long enough sleeves of that would be absolutely insane. This idea came about when I was preparing for my Paris trip and trying to come up with a way to carry my wallet contents without actually having to deal with a wallet in such a tourist area. Because everyone knows pickpockets gather in tourist areas. Which is why I wear pants with buttoning pockets to Universal. Well, that and so I don’t lose my phone on a roller-coaster. Anyway, back to the wallet. I didn’t actually get it finished in time for Paris because I got stuck on the closure. I had originally planned for snaps so it could be reversible. That didn’t work out so well because I kind of forgot how to put the snaps in, plus snapping it seemed like it might be a little difficult to put on one-handed. I finally went with buttons and loops. Much easier to put on. 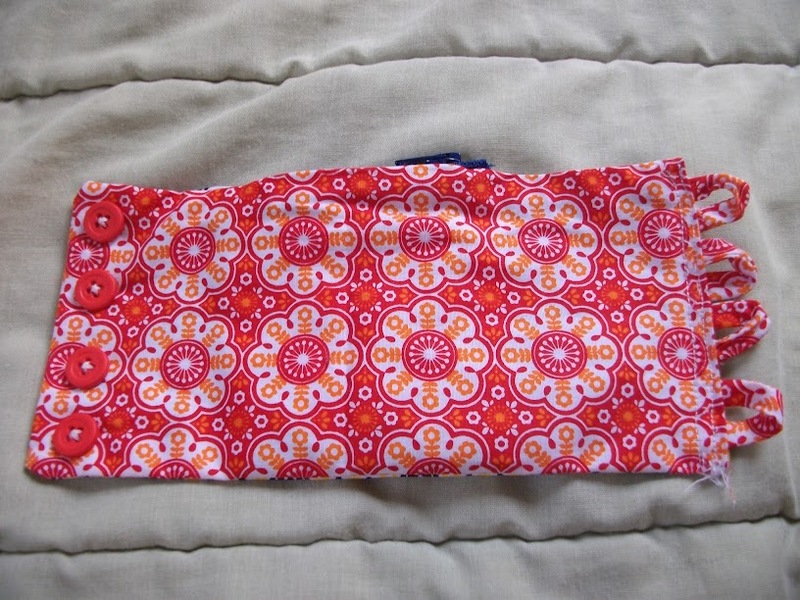 I just made a long bias strip out of the remaining piece of the top fabric and cut 4 – 1-and-a-half-inch strips. 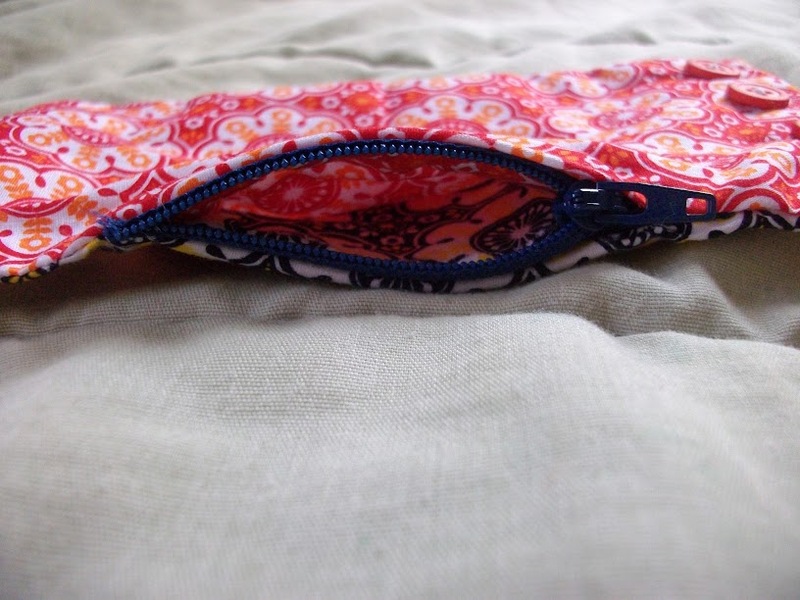 I made an opening with a zipper to keep everything safe inside. 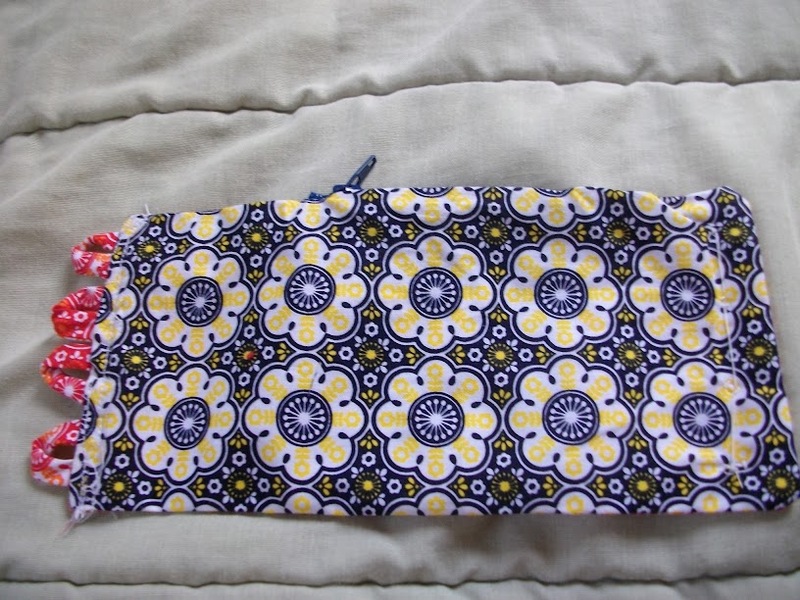 I took the zipper pull off and sewed the edge to each side first. Then I put the zipper pull back. Pretty easy to put it together this way. The fabrics I used for the outside and the lining are the same pattern in two different color ways. 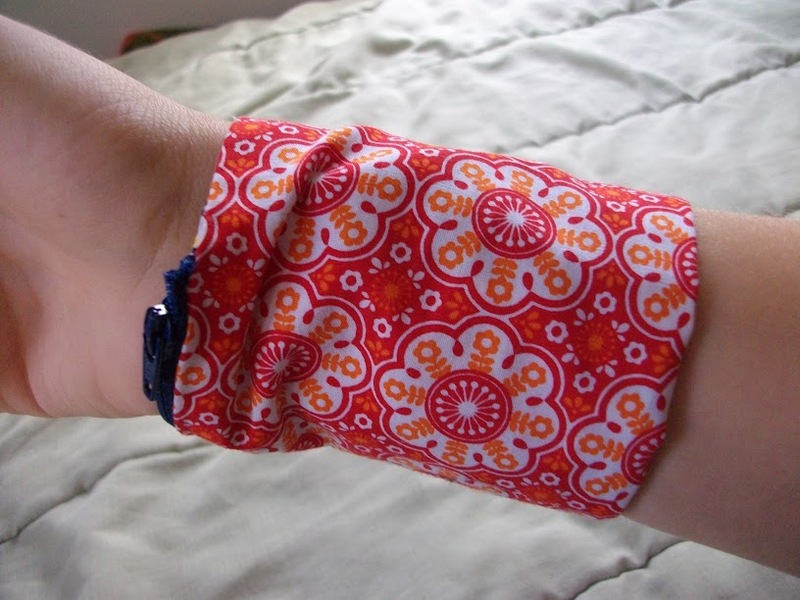 Both are from Anthology Fabrics from a couple of years ago. I like how this came together, but I think I am also going to make another one. Just to have a couple of options, especially so I can wash one and have another on hand. I think I will do the second one on the bias and just make it slip over my hand rather than using a closure. 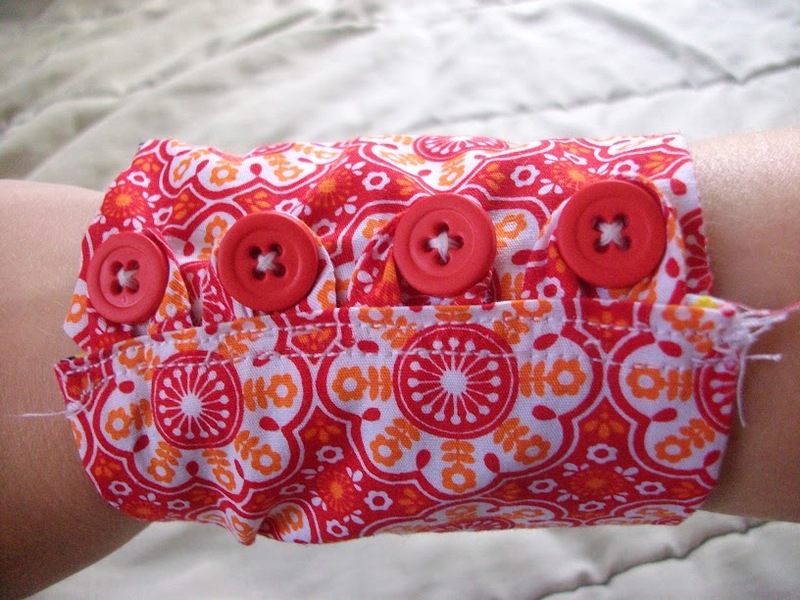 If it works out, I may just write that pattern up and share it.